To begin look at some report maps that have been generated using GIS software. Click on: 2018 Project Design and 2017 Interim Report to download this interim report. This will be saved in your download folder and depending on your settings it may open up automatically. If not open the pdf manually. Have a look at the following figures all of which have been created in GIS software. Figures: 2, 3, 5, and 11. Figure 3 is a GPS survey of features, watercourses and field boundaries with added OS height contours and British National Grid (BNG) lines. Figure 5 is a GPS trench outline on BNG coordinates and a photogrammetry plan view of the trench orientated as an overlay layer. Figure 11 shows the 2017 trenches and the proposed 2018 trenches. As you can see the GIS generated maps are of suitable quality to include in fieldwork reports. 1. GIS software. There are lots of GIS systems to choose from. However the professional systems are expensive. The system used by AA is called QGIS. The Q did stand for Quantum but they have since dropped that and just call it QGIS. QGIS is free and can be downloaded from https://qgis.org/en/site/forusers/download.html. All QGIS systems are seriously large and potentially daunting pieces of software. However, for basic archaeology related mapping you only use a fraction of QGIS's functionality, so if you follow my suggested path indicated below, then as long as you have a reasonable level of IT skills you should get some results fairly quickly. 2. Maps. There are two types of map which you need to be familiar with, they are raster and vector maps. The best free map downloads for the UK are those supplied by the Ordnance Survey Open Data website. You will see both raster and vector map downloads there. The suggested path indicated below explains the difference. QGIS also has the ability to use the free available online map and any other suitable digital mapping that you have licenses to use. 3. GPS Data. GPS data is handled in QGIS very much like vector map data, so once you understand how to use vector maps then you also know how to process GPS data files in QGIS. However, you need to be familiar with using GPS instruments and processing the measured coordinates to produce the GPS compatible output data files. This is covered in the How to: GPS page (link above). 4. Lidar. Lidar is an acronym for Light Detecting And Ranging. It is very similar to RADAR and SONAR but using frequencies in the light segment of the electro-magnetic spectrum rather than radio or sound waves. Although lidar is an acronym, it is accepted that you can treat it as a noun like: Lidar/lidar and not as LiDAR. The basic premise is that infra-red laser light emitted from an aerial platform like an aircraft or drone directly at the ground, is reflected by the surface features on the ground. The reflections are detected and processed to reveal height difference of those features. The detected heights are recorded against the GPS coordinates of the ground (georeferencing). Various data definitions can be obtained, the common ones are: 25cm2, 50cm2, 100cm2, and 200cm2 per pixel. 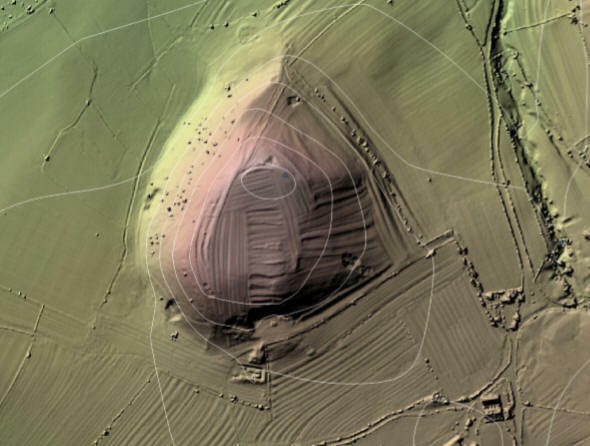 In the UK and many other countries around the world, lidar data can be freely downloaded. In the UK there are separate websites for England, Scotland, Wales and Northern Ireland. In England the data is far from complete. It is hoped to get he full UK coverage by about 2020/2021. The lidar data downloads are text files containing millions of numbers and a few lines of coordinate information. These files have to be processed before an image is revealed. This is covered in the suggestive path below. 5. The suggested path. If you want to start to learn how to use QGIS on your PC or Laptop then this is possible. You will need to download and install a few free programs and data files to get started. The recommended method is to process lidar data in QGIS and then look at setting the lidar images against various map backgrounds. A downloadable GPS data file can be displayed either on top of the map or the lidar image. Then the data can be used to generate the type of maps you viewed in the introduction above. All the necessary instructions are available on a pdf document you can obtain by using the QGIS-LIDAR link on the main menu bar. The pdf does include other methods of processing lidar data, one in particular is good but it has to be bought. Likewise one of the GPS software suggestions is not free but there are other free alternatives. 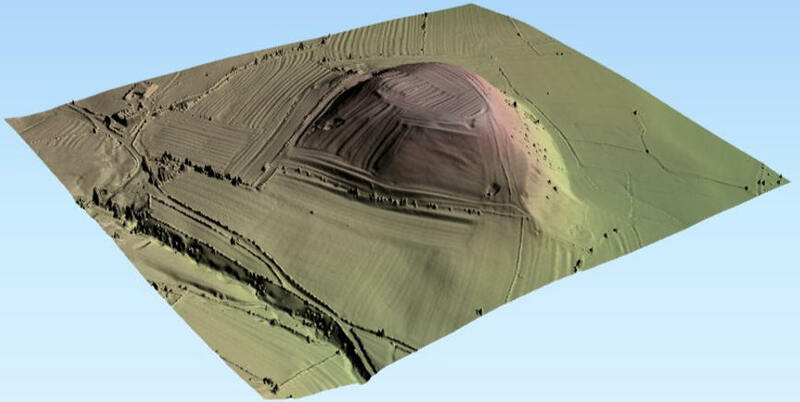 In addition, the guide describes how you can get started generating 3D lidar models too. 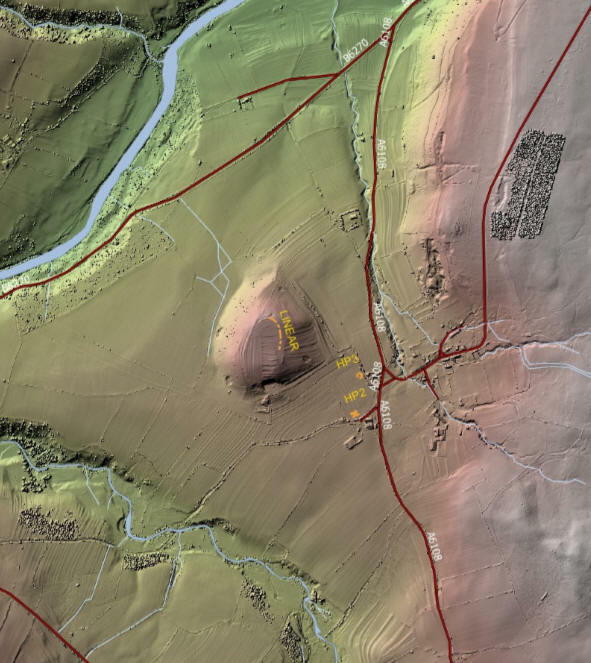 If you can afford it, we ask for a donation to Altogether Archaeology fieldwork fund in return for all the work required to produce the guide..
Below: Three of the QGIS lidar images that can be generated when following the instructions in the pdf guide, which also includes an introduction to 3D models.